To deliver more personalized experiences. Now, the challenge is that you need to have the right individuals, in the right roles, in order to deliver on these goals (and to take the goals even further and connect them to real business impact). And I’d argue that one key reason why spend is increasing is to ultimately improve the customer experience. The next logical questions include: are marketing teams prepared for this martech spend? And who will be responsible for the tools and the data and analysis those tools give us? That’s where there’s a gap. Research shows that 77% of B2B marketing decision makers indicate their use of data and analytics to guide marketing decisions is one of their department's top five weaknesses. All of this data lives in their marketing technologies, and unfortunately, many teams don’t have a plan for how their martech stack will enable better data quality and connectivity for their team. If organizations can solve this issue, they are better able to understand their customers’ journey and thereby improve the customer experience, which drives more revenue. So, if we inherently understand there’s a wealth of data out there that we should be getting — and we know that we will be spending more on martech in 2019 — why is there such difficulty using this data to improve our decision-making, and ultimately, improve marketing performance? If we dive further into other studies, the answer becomes clear. Gartner’s 2018 Marketing Technology Survey found that 24% of respondents said they have no formal martech leader or team in place. Essentially this means we are spending increasing amounts on marketing technology, but don’t have anyone to set the strategy to assure this spend and technology aligns with the CMO and company’s goals. This lack of connecting strategy to tactics (or technologies in this case) is creating a lack of confidence in the entire marketing organization. There isn’t one martech role — there are a variety and they all work together to create a strong marketing organization overall. Let’s define these different martech roles here: who these roles are, what they’re responsible for, what that means for your marketing performance and what that means as you plan for 2019. While there are many different roles in this type of team, I’m focusing on the two main ones that teams need to invest in ASAP in order to better support their technology spends. Are you a marketing ops data technician? Here are some of the things you might hear if you are — sound familiar? I need to evaluate gaps in our martech stack. If you fall into this type of marketing ops persona, then you have a data-driven role. You’re an analytical person who might have come from finance, data analytics, or even IT. Your focus is on technology integration and you’re the keeper of the tools. You care if technology is integrated well and functional. You’re likely conducting martech stack audits and pride yourself on being a doer and problem solver. You might be what Scott Brinker from ChiefMartech calls a “citizen technologist” — which he describes as a non-technical marketer who accesses data and tools in order to analyze data sets themselves, without having to wait for IT or a traditional marketing ops person. Creating a clean database (aka data cleansing and quality). In this role, you might use in-house data (Excel, Google Sheets and Smartsheet). You’re also likely the key user of martech like marketing automation platforms, personalization software, or CRMs. Are you a chief of staff marketer? Here are some of the things you might hear if you are — sound familiar? I need to better understand how spend impacts revenue and ROI. In this role, you’re tasked with strategy and understand that the necessary technology is not just the tools we use to execute marketing programs. You see the need to invest beyond execution and analysis tools, and prioritize finding the right strategic and planning tools. This strategic view of the tech stack sets you up for success on your career path to becoming CMO. Proactively bridging gaps on the tools needed, the type of data you want and then requesting it from the data technician. You might use a CRM like Salesforce but use an attribution app like Bizible to better understand the influence certain channels are having on revenue. You might use Allocadia to measure total marketing performance. Or, you might be using in-house data modeling to create dashboards and shareable insights. In 2016, Forrester published a report about “The New Roles That Will Power Your Marketing Operating System.” They propose marketing teams should have a “Marketing Operations System” (MOS). In this holistic system, each one is contributing to the other’s success. Data is gathered by one, analyzed by the other and insights are shared with the CMO and the rest of the business. The MOS lines up with the customer journey as tools are evaluated not based on what new tech is in the marketplace, but what tech you need to help your customers move from one stage of their journey to the other. While you may be a data technician marketing ops professional or more like a chief of staff, the key is that both roles are needed in a MOS, especially considering Forrester’s 2018 Predictions found that B2B marketers will prioritize operational excellence. The only way to do that is to understand the types of personas you have on your marketing ops team, the roles they’re performing and how that lines up to what your team is trying to achieve overall. Having the right marketing ops talent — a mix of data scientists, analysts, the keeper of tools and the strategic thinkers — will be the only way we can get there. Sam Melnick is VP, Marketing at Allocadia, a marketing performance management (MPM) platform. 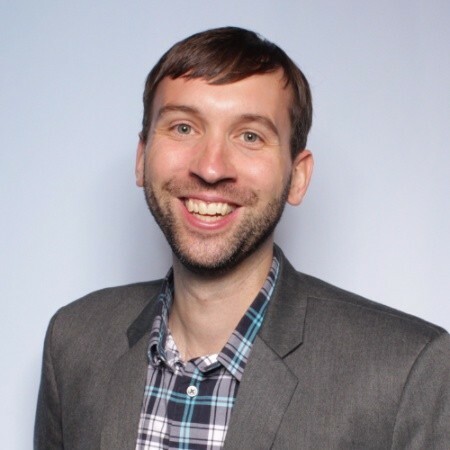 He has over a decade of enterprise marketing experience as a marketing practitioner at Vivox, an award-winning analyst in the CMO Advisory practice at IDC, and as a customer success leader at Lattice Engines. Melnick is a frequent speaker at marketing industry events and author of original marketing research and thought leadership.